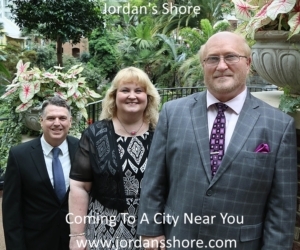 Nashville, TN, May 27, 2015- Master’s Voice and Butler Music Group are excited to announce that the well-known Southern Gospel trio is now a quartet. Ricky Capps was speaking of Jerry Pilgrim. No stranger to Gospel Music, Pilgrim certainly has the voice Capps was looking for. Ricky Capps has been the Master’s Voice tenor for 20 years. Ricky is a gifted communicator of the Gospel who’s passion and motivation is really a staple of what people expect from the group. Master’s Voice is not just a singing group. They are an evangelism team and much of that is centered around Ricky’s call to preach. Justin Morphis has been singing since he was 16. But he’s not just a “voice.” Justin has a story to tell, and it makes for a dynamic presence. “Lead” singer is the perfect way to describe Justin. living singing lead and tenor, but has perhaps found his best fit as baritone for Master’s Voice. If a good baritone brings versatility, then Stan is a perfect addition. His love for people is obvious. Rounding out Master’s Voice is musician Theron Perry. Capps said, “Musician” is both vague and telling when explaining what Theron brings. Theron plays the piano and guitar which allows Master’s Voice to float their sound from traditional to country…from easy-listening to a powerhouse ballad, and at 18 years old, this is only the beginning for Bristow, Oklahoma’s prodigious son. Brian Free, of Brian Free & Assurance, has requested prayers for his son, Ricky. Well Ricky's going home today!!!!! The pathology report came back and once again God showed up "The tumor is benign"!!!! Pleas continue to pray for him, Kelly and the boys as he has a long hard road to recovery. Thank you all once again for your prayers. If you know God is good "Say Amen"! Ricky is doing good today. He's started rehab and with the help of a walker moved around a few times today. The surgeon told me and Pam this morning he was amazed at how things were when he got in there. He and the MRI told a different story before surgery. There is NO doubt in my mind of what GOD did before surgery. I COULD SHOUT IT FROM THE ROOFTOP, GOD PERFORMED A MIRACLE!!!!!!! Thank you all for all the prayers and support the last few days. He has a long road to full recovery but is well in his way. He'll be back to playing the drums like only he can do in no time at all. Thank you Jesus! "Let me start this post by saying PRAISE THE LORD!!!!!! Ricky is out of surgery, they were able to get all of the tumor and have rebuilt the bone with cement, metal plates and screws. Will will know in a few days the result of the biopsy but the doctor felt like we have nothing to worry about. He will be walking with crutches for six weeks and IF there are future surgeries they would be months or longer away from now. 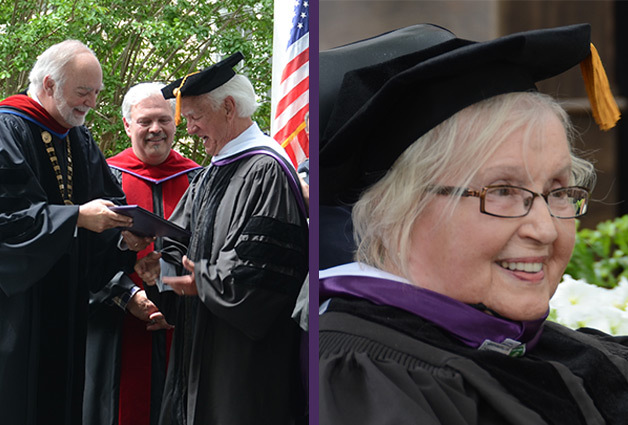 I cannot tell all of you how much I appreciate the amazing outpouring of prayers and concern for my family. If I could hug each and every one of you right now I would. Thank you for being a part of our ministry. GOD IS SO GOOD!!!!!" "I wanted to wait until I knew more before posting. My oldest son Ricky is scheduled for surgery tomorrow morning. He broke his hip bone on Thursday of this past week. They found a tumor on the bone that caused it to deteriorate and break in two. They are pretty sure the tumor is benign but won't know for sure until the biopsy. They will be doing a partial or complete hip replacement surgery and some reconstruction. Needless to say we all know the master physician has him in the palm of his hand but it's still a hard time. Please keep him and all of us in your prayers and I will update you tomorrow after the surgery. Thank you so much for your prayers." Just wanted to let everyone know how Ricky’s doing. His doctor told him he has another 5 weeks before he can start physical therapy. His surgery was so intense he doesn’t want him putting ANY pressure on the leg until then. The leg is healing good and he should be back on the drums for our tracking session in August. God is so good and I thank him a thousand times a day for keeping his hand on my boy. Please continue to pray that all goes well. Thanks so much for the AMAZING response in prayers and financial support that you’ve shown my son. You are the best and I love you all! 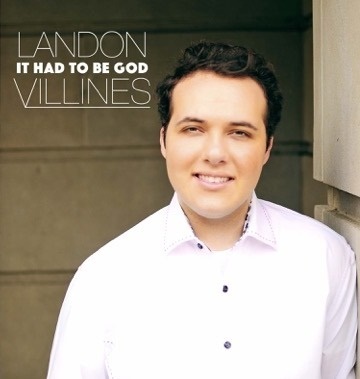 Compton, Arkansas (May 22, 2015) Up and coming young Gospel artist Landon Villines is excited to announce the release of his first full length CD. Full of new songs by such awarded writers as Ronnie Hinson and Jeff Steele, this album captures something for every generation. Produced by Darrell Freeman of the Freemans, the project has been a long time coming for Landon. He had dreamed of making this CD a reality for a long time. Background vocalist Chris Freeman stated, “I have always had a place in my heart for the youth in Gospel music, since I was just 17 when I came into this Industry. Today I believe the youth are still our future and are leading strong. Landon is one of the most promising up and coming new artists and he sure to make a great impression on hearts and a statement of faith for who he serves and knows what he is singing about. I feel blessed that I was a small part of on his new project ‘It Had To Be God’. .Villines is only 20 years old and already been singing full time for three years. He fully believes your answer is coming and when it does, everyone around you will surely say, “It Had To Be God”. Coming from a very musical family, Landon’s mother wrote “It Must Have Been Hard To Resist” and sings some backup of the song. Also, Landon’s sister, Emily Villines and his cousin Hannah Villines sang backup on “Better Days”. Be looking for Landon’s first national radio single “When I Lay My Isaac Down” going out in the next several weeks. 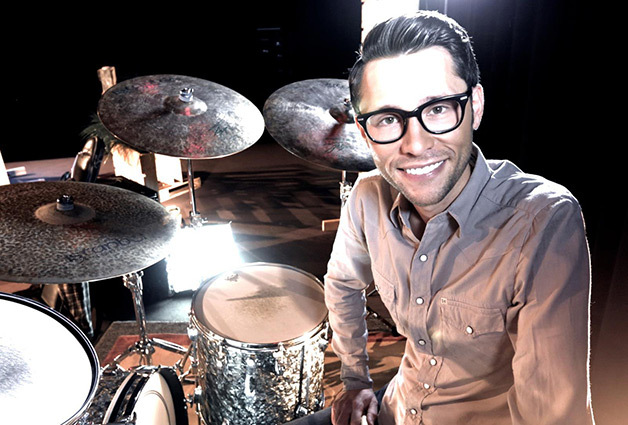 You can learn more about Landon Villines by going to his webpage at http://landonvillinesministries.com/ or on FaceBook at https://www.facebook.com/LandonVillinesMusic . 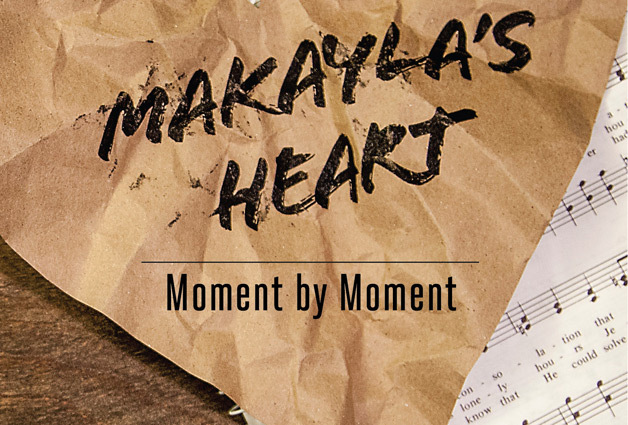 At 20 he delivers a timeless, cutting edge sound that carries the message of Jesus to a broken world. His big voice and heart for God has undeniably brought him to a new level where he is taking flight in the Gospel music field. At such a young age it seems like such a huge goal to pursue, but his focus is on a higher one, to reach souls. 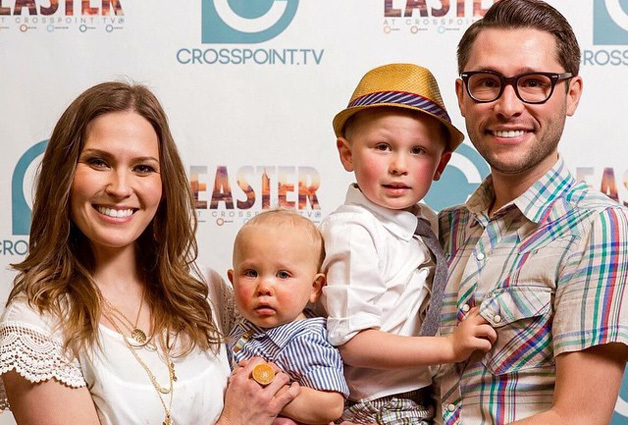 Landon began singing at his parent’s church, where they currently pastor. He is seasoned in the Pentecostal church, and his roots run deep in the mountains of Arkansas. 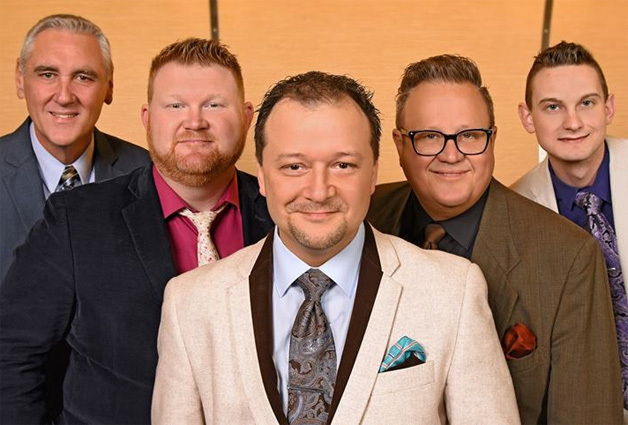 Raised on the rich sounds of Southern and Bluegrass Gospel, Landon’s sound is crafted with that which he was raised on with a fresh progressive sound. His classic Gospel tone with a current sound creates something new for the Gospel music era. Landon’s freshman record, It Had To Be God, is set to release in the coming weeks. Be watching for updates on the release of this long awaited album.